This genus is accepted, and its native range is Greenland, Temp. & Subtropical Eurasia to NE. Tropical Africa. Thymus algeriensis Boiss. & Reut. Thymus × almijarensis Ruíz Torre & Ruíz Cast. 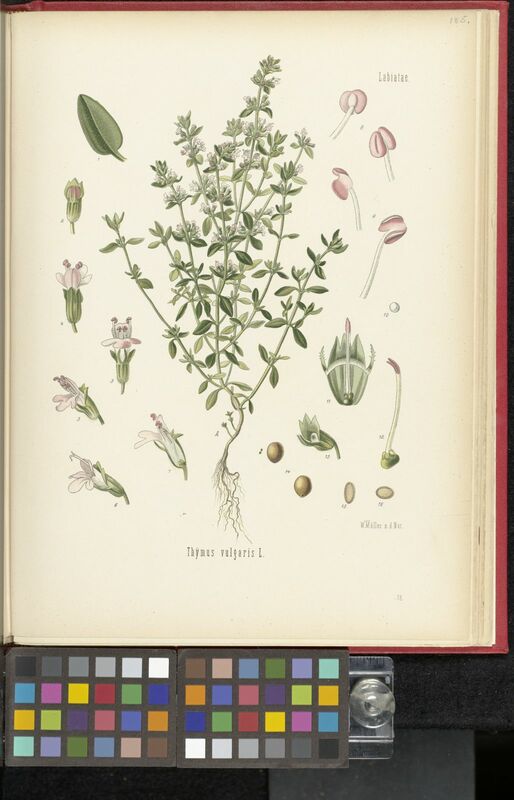 Thymus alpestris (Celak.) Tausch ex A.Kern. Thymus × arenarius Bernh. ex Rchb. 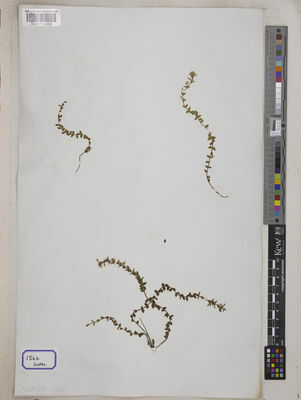 Thymus bashkiriensis Klokov & Des.-Shost. Thymus borysthenicus Klokov & Des.-Shost. Thymus × brachychaetus (Willk.) Cout. 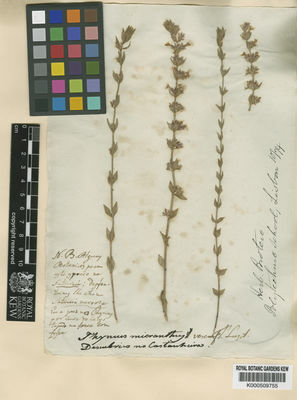 Thymus calcareus Klokov & Des.-Shost. Thymus callieri Borbás ex Velen. Thymus × cimicinus Blume ex Ledeb. Thymus × citriodorus (Pers.) Schreb. Thymus daghestanicus Klokov & Des.-Shost. 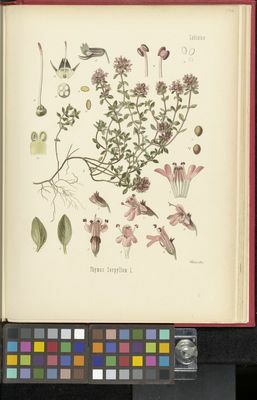 Thymus × dimorphus Klokov & Des.-Shost. Thymus dubjanskyi Klokov & Des.-Shost. Thymus dzevanovskyi Klokov & Des.-Shost. Thymus fallax Fisch. & C.A.Mey. Thymus iljinii Klokov & Des.-Shost. Thymus × josephi-angeli Mansanet & Aguil. Thymus karamarianicus Klokov & Des.-Shost. Thymus leucostomus Hausskn. & Velen. 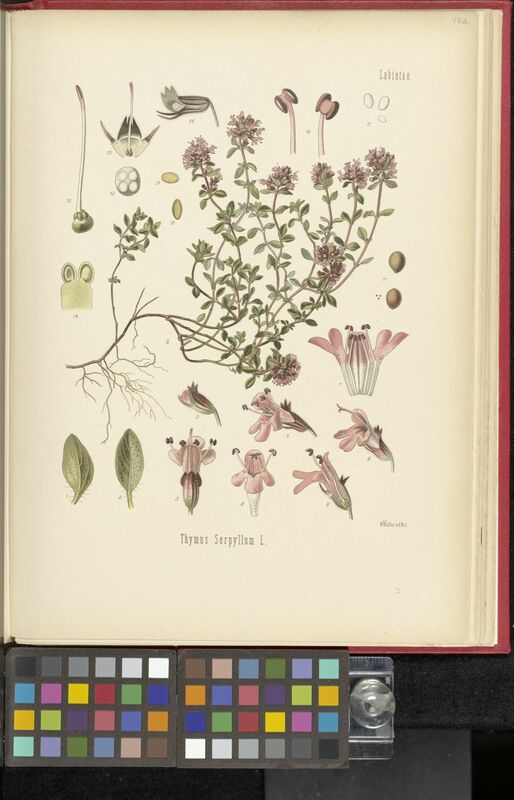 Thymus × littoralis Klokov & Des.-Shost. Thymus migricus Klokov & Des.-Shost. Thymus mugodzharicus Klokov & Des.-Shost. Thymus nervosus J.Gay ex Willk. Thymus pallidus Coss. ex Batt. Thymus pectinatus Fisch. & C.A.Mey. 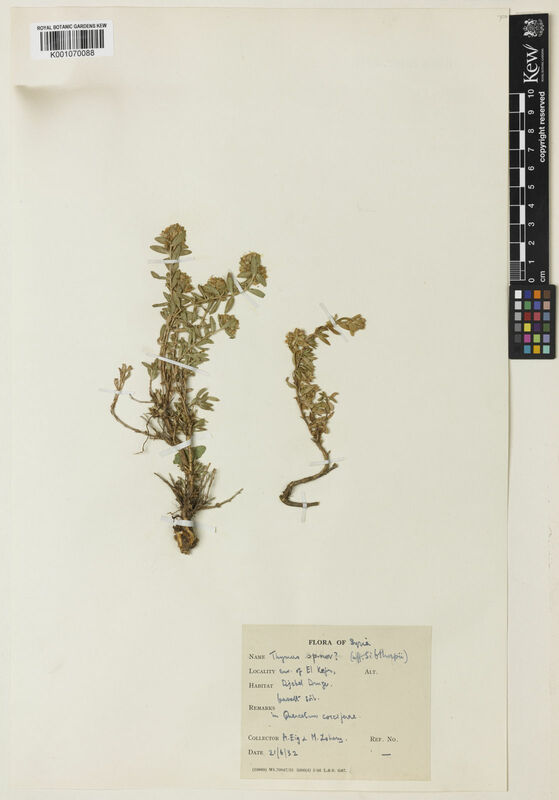 Thymus × pseudograniticus Klokov & Des.-Shost. 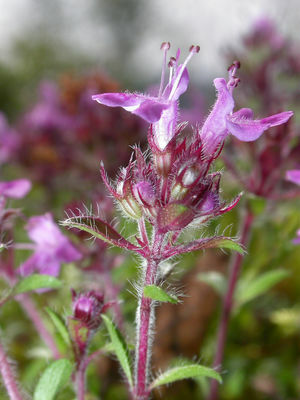 Thymus pubescens Boiss. & Kotschy ex Celak. 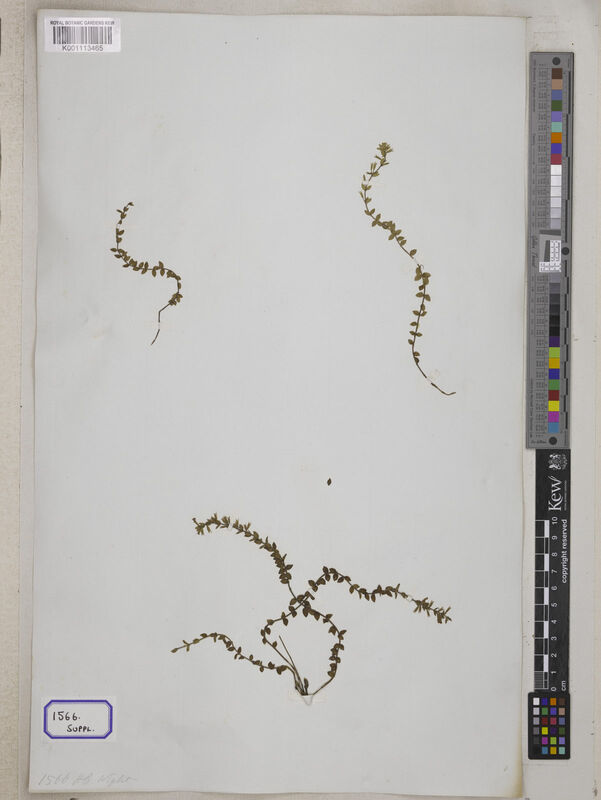 Thymus samius Ronniger & Rech.f. Thymus serrulatus Hochst. ex Benth. Thymus × tschernjaievii Klokov & Des.-Shost.